The route for Annapurna Circuit Trek was just opened in 1977. It is also known as a classic Himalayan trek. Annapurna circuit 16 days trek provides an amazing vista of Annapurna (8,097), Dhaulagiri (8,167m), Lamjung, Manaslu, Machhapuchhre (6,993m), Tukuche peak etc. 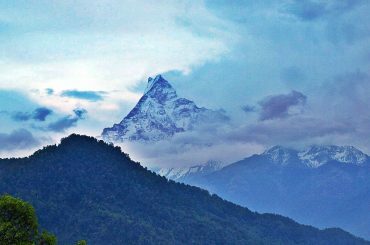 You will enjoy the ranges of views during the trek as it starts and finishes in the lush foothills of the Annapurna, scattered with different settlements. We will feel the spectacular change as we go into the barren scenery of the Tibetan highland where the way of life becomes mostly Buddhist. We will begin Annapurna circuit 16 days trek after we drive to Bhulbhule from Kathmandu and walk on a suspension bridge through magnificent terrace farm to get to Ngadi community. Also, we will walk on the crisscross path passing Syange and go down to the river bank to arrive at Jagat. Moving ahead, we will reach Danakyu where we will get to see the striking views of Mt. Manaslu and Peak 29. On the way to Chame, we will see the renowned Dudh Khola pouring from the south face of Mt Manaslu. 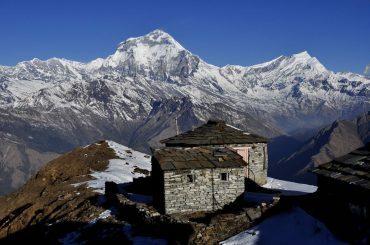 In addition, we will trek Pisang from where the views the north-east peak of Pisang as well as Annapurna II appears wonderful. 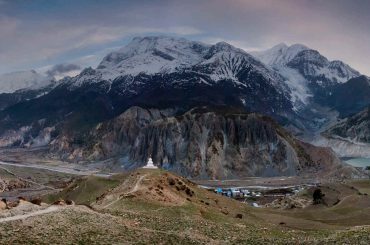 Moreover, we will get to see fantastic views of Annapurna II and III before reaching Manang village. 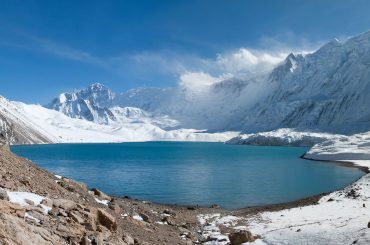 We will then experience one of the fascinating part of the trek as we walk side to side with a shaky incline and then walk down to Thorung La Pass lying at the height of 5416m. 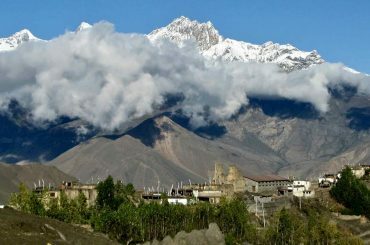 Besides, we will also visit Muktinath meaning God of Salvation which is holy place for Buddhists as well as Hindus. 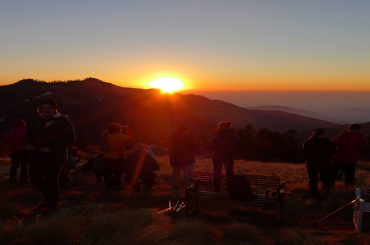 16 Days Annapurna Circuit Trek designed by Himalaya Sunrise Treks & Expeditions mostly follows the very old trails which were used as business paths between Tibet and Nepal. Apart from the countryside of northern and southern Himalayas, you will also perceive thick fir and rhododendron wooded area to the harsh environment of the Tibetan upland.